Hello everyone! 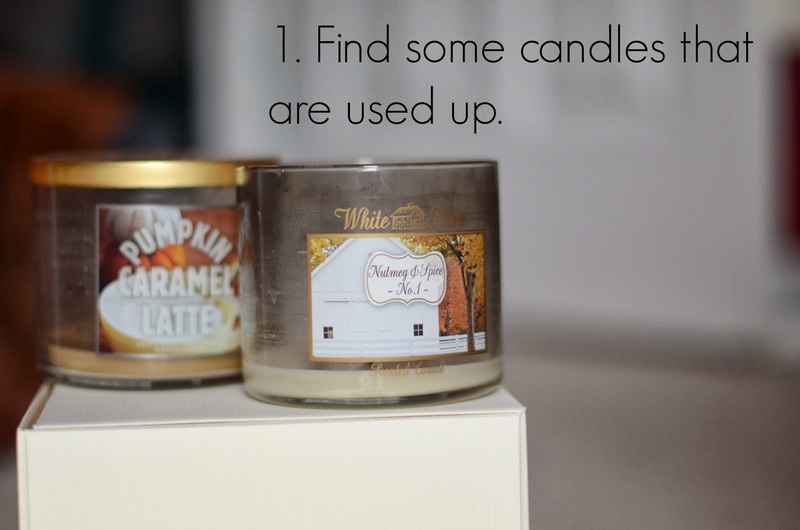 Today I'm going to be sharing with y'all how to clean out your old candles [I'll be using the Bath & Body Works ones] and using them for storage in your house. I like using them to store beauty/makeup supplies, as the glass shows off the designs & colors -- making them a decorative focal point in any room. 1. My favorite candles are the Bath & Body Works ones, so they will be the ones I'm using for this DIY. So, I don't have tips for non-Bath & Body Works candles. Also, if you wondering how you will know when your candles are used up, well...they will longer burn, that's when you know it is time to clean them out & used them for storage. 2. Taking either a plastic fork or knife, make a bunch of holes in the wax. This will help loosen the wax, and make it easier for it to melt once we pour in the hot water. 3. Your candles should look something like this, perhaps not so extreme. I kinda went overboard, but it worked. 4. 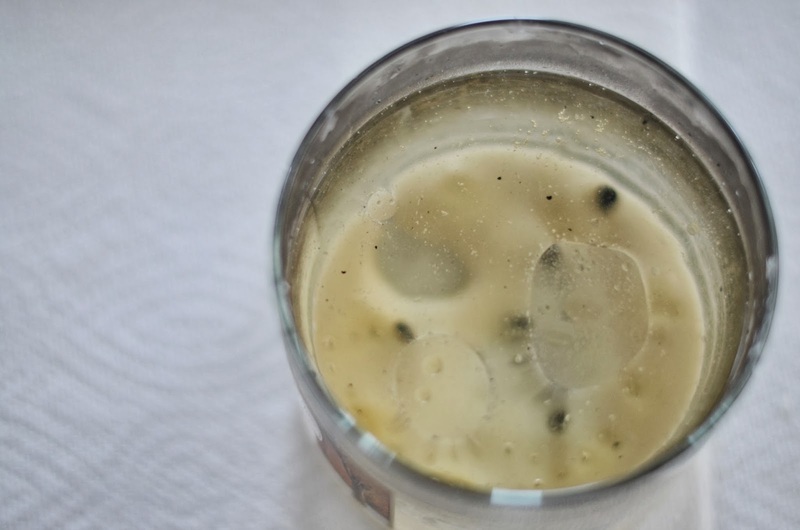 Fill up the candle with boiling hot water, leave about an inch of space at the top. Let it sit for about 15-30 minutes. Doing this will help melt down the wax. 5. Once all the wax has melted & floated to the top. 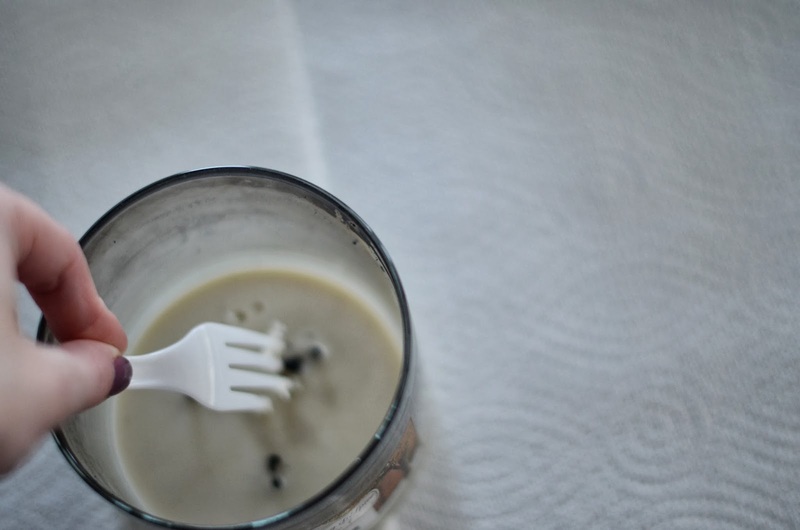 Scoop out the wick holders with a plastic fork or spoon. Then dump out the wax-water outside, as you don't want the wax-water to clog up your sink drain. 6. 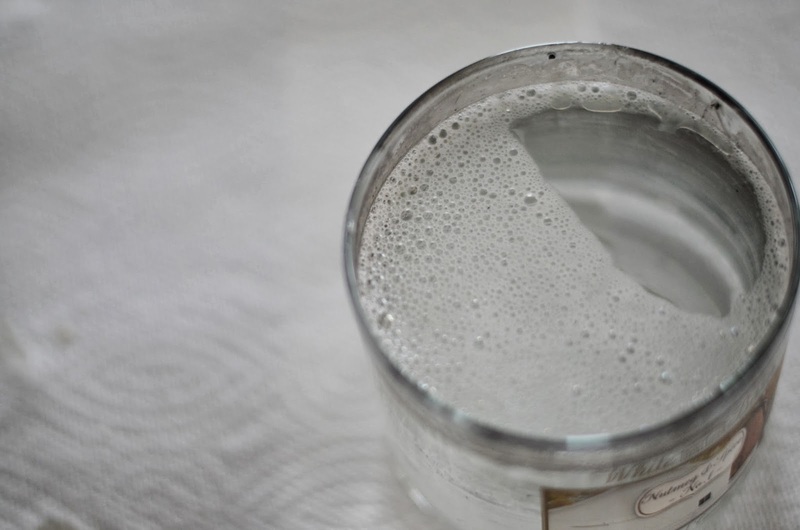 Once you have the wax-water dumped out, add some dish soap & more boiling hot water. Let it sit for about 15 minutes. 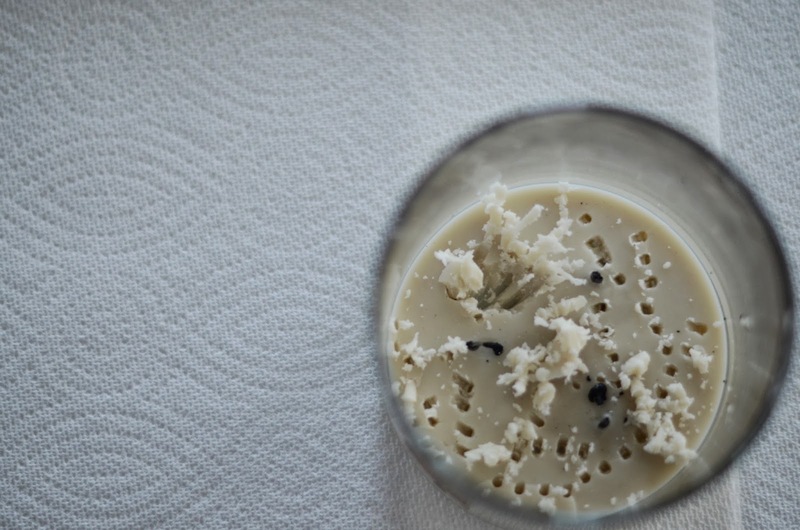 After it has sat for awhile, take a paper towel & clean out the sides of the candle -- removing all of the wax residue and black soot. Once you have cleaned it out mostly, dump the water down the sink [unless there is a bit wax leftover, then dump it outside]. 7. Rinse out the candle with soap & water in your kitchen sink. 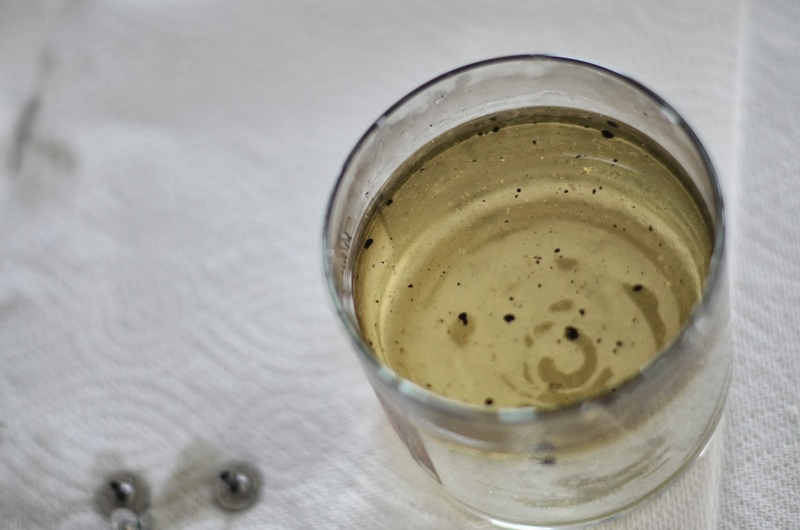 Remove any of the labels [just remove them under warm running water, they should come right off]. Once the labels are off & your candle is clean, you are finished. 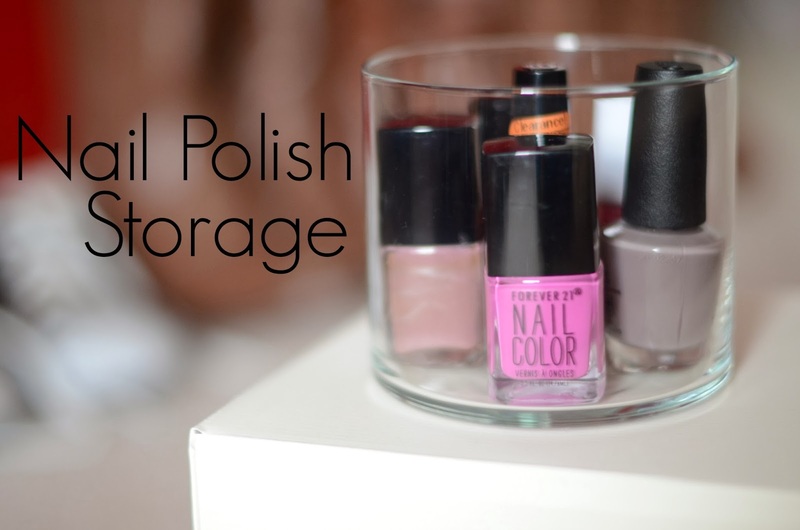 One of the ways you can use your old candle for storage is for nail polish. If you have a rather large collection, this can be the perfect way to highlight what your favorite current nail polish colours are. 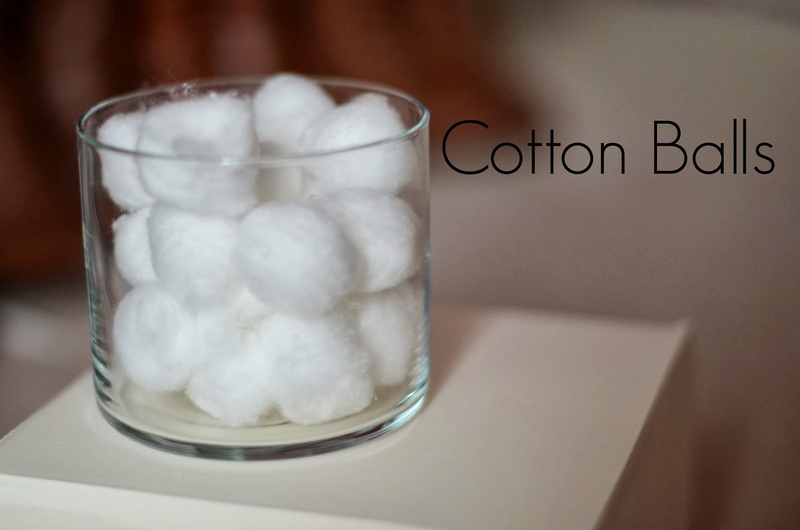 Perhaps you would like to have your cotton balls/pads in a pretty jar, instead of the plastic bag they come in. You can then place this jar on your bathroom counter. 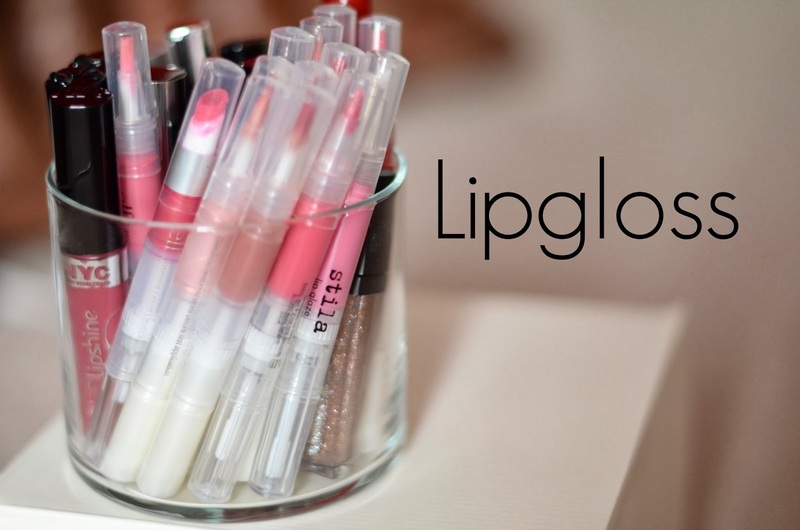 Perhaps you are more of a lipgloss girl? 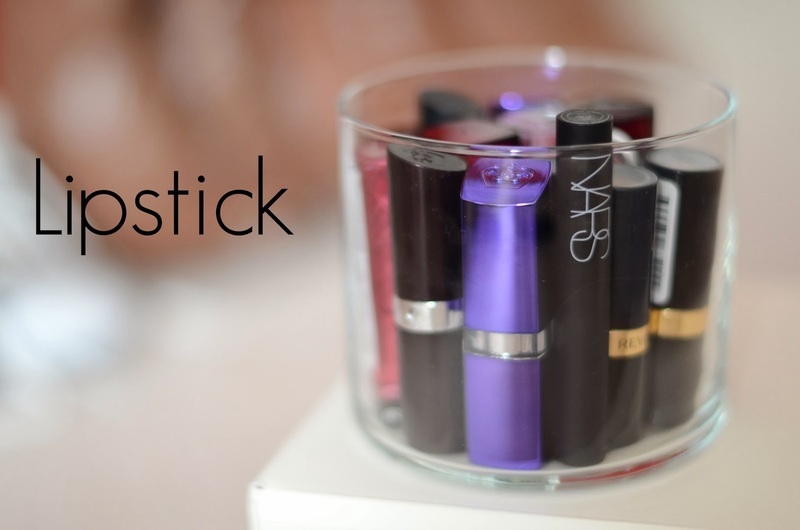 Then throw all of your favorite in the jar for easy access to your lipglosses when ever you are running out the door. This is also a fun way to store your lipsticks, as you can see what brands & colours that you have right away [if you put your lipsticks in upside-down]. Then there is the classic option of using it for your makeup brushes. 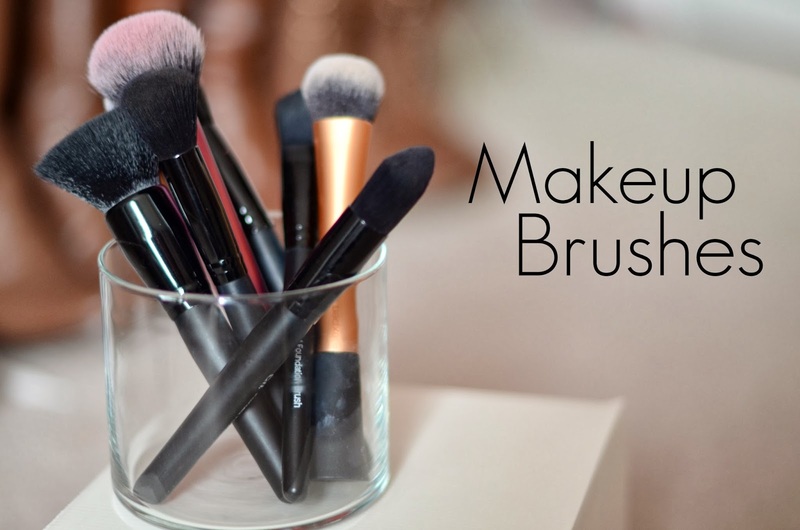 These keeps them upright and all in one place [ making it easy for you to find your brushes when you do your makeup]. 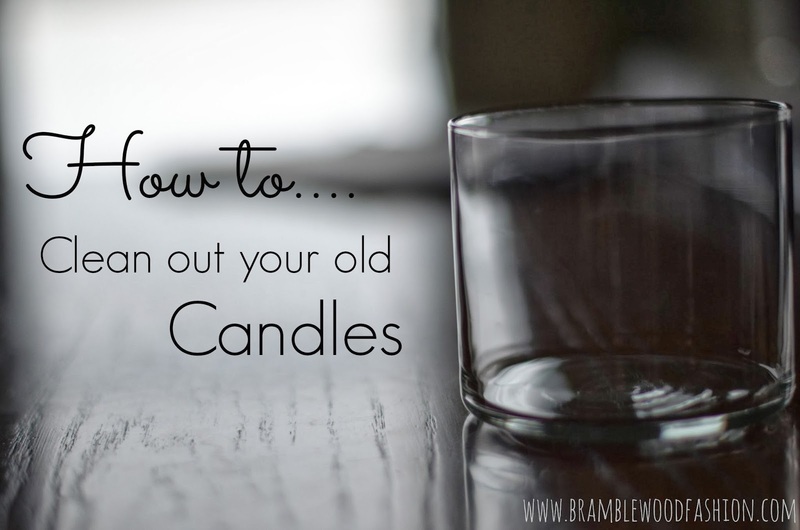 If you do this tutorial, I would love to see how you used your old candles for storage! Just post pictures on our Facebook page, or tag me on Twitter [@BramblewoodF] or Instagram [@Bramblewoodfashion]. This is absolutely brilliant and I'd never thought of it! I cannot wait to try this out this afternoon on some candles we've been needing to get rid of! (And I am in imminent need of makeup organization so this is really quite perfect. Thank you girls! You've inspired me! What a neat idea! I love the idea of taking something that you'd normally throw away and use them for another purpose. Plus there are so many different ways you would use these jars. I've seen a tutorial where a lady put modge-podge on the inside of the jar and sprinkled a generous amount of glitter all around the edges, to where the jar edged were completely covered in glitter. Once the glue dried and she took out the excess glitter, the jars looked super cute! Thanks for sharing the tutorial! Would love to see more like this in the future! Thanks for the tutorial! Now I finally know how to do it, no more hacking at candles with knives..! Wow, I love this idea! I know I have some candles sitting around that I could use, so I'll have to try this. :O I need to do this!!! I love how classy they look once you're done with them. I have two woodwicks I'd like to try this with. Amazing tip! I have so many old candles. Boiling water looks like very easy decision. I am going to try it. I hope it is as easy as it seems. Thank you for sharing!